Hyperbole and bias aside, your wedding is and will always be one of the biggest days of your life. Arguably eclipsed only by the birth of your children (should you choose to grow your family), nothing gets bigger and better than your wedding day. The whole experience of planning your wedding, from saying “yes” to “I do”, is an extraordinary stretch of life. Nebulous visions of your wedding — your ring, your dress, how he or she proposed — take shape into your real-life story. What once felt like a dream of a fairy tale is suddenly your here and now. And it deserves to be properly documented. Meet Melissa, photographer extraordinaire. Don’t let that fancy skirt fool you: most days she’s bouncing around in yoga pants grabbing Chick-fil-A between photo sessions. 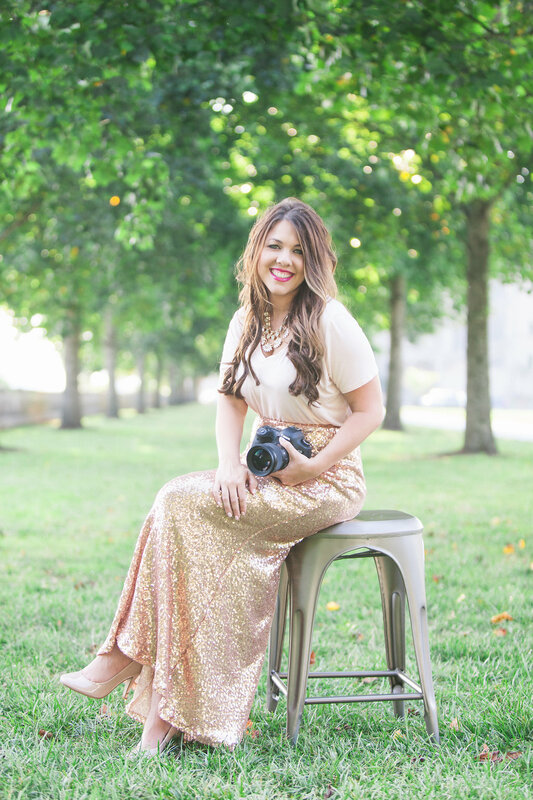 Her bright smile and fun personality translate into both her photography style and client relationships. The light and airy quality of her photos conveys a sense of magic and charm. (Just look a little closer — you might catch the sparkling twinkle in the eye of a blushing bride.) But it’s Melissa’s easy-going personality that turns her clients into friends. And she could never let her friends get married without proper engagement photos. I include engagement photo sessions in all of my wedding packages because they’re so important to me. There are just so many great reasons to take them! Engagement photos are incredibly useful for Save the Dates, wedding websites, and for practicing before your actual wedding day. But mostly, they’re about capturing the two of you in this fleeting, joyous time in your lives. Don’t risk looking back and wishing you’d frozen these precious moments in time. Consider us convinced! Still, we know any good argument needs a few strong bullet points to back it up. 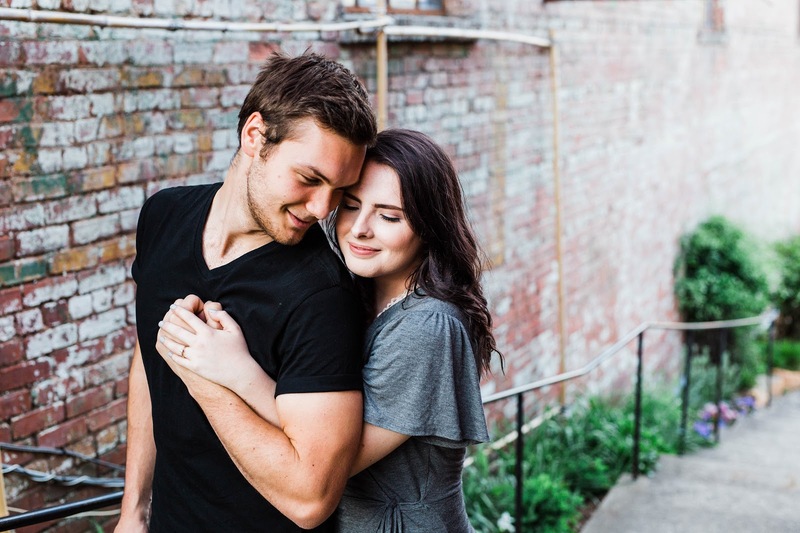 And we know just the person to walk us through why taking engagement photos is so important! 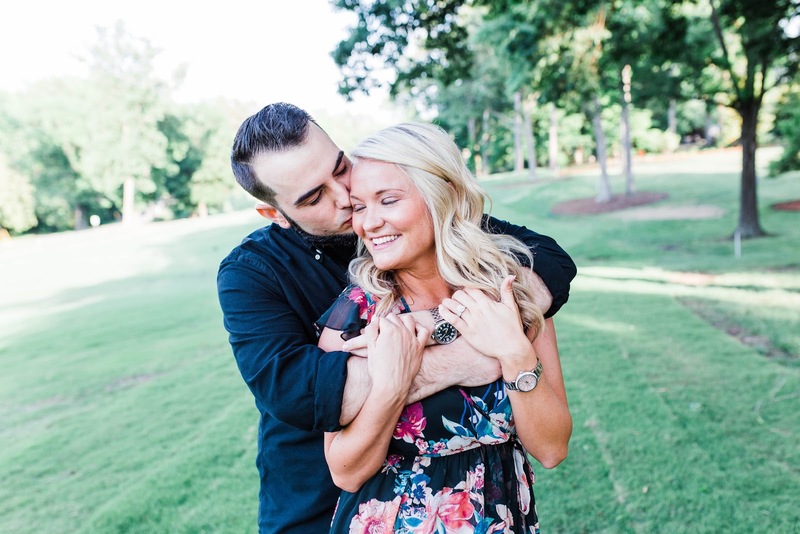 Here are Melissa’s top five reasons for scheduling an engagement photo session with your wedding photographer. When was the last time you took professional photos? Your senior pictures in high school? Taking head shots for your new job? Maybe a family photo session when you all wore matching outfits you sourced at the local department store. Let’s face it: you felt a little awkward and forced a smile, hopeful one came out that’s halfway decent. 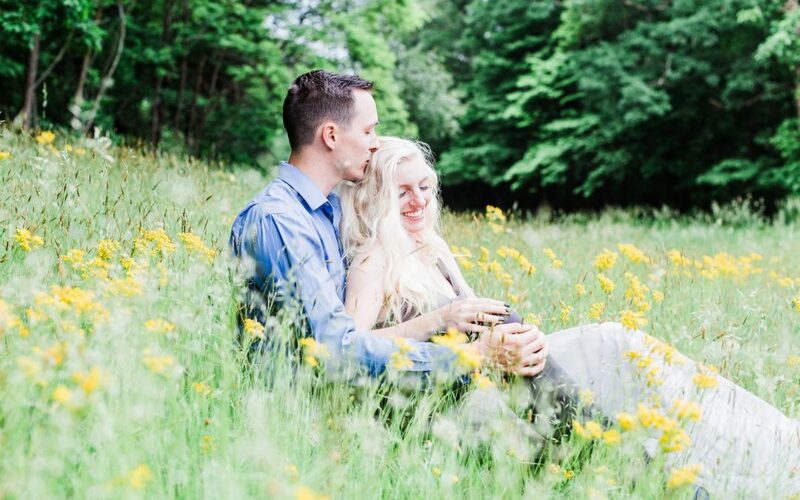 Engagement photos give you the chance to get natural, beautiful photos of you in your element. You can use them to share a little bit about your love story. Choose a location that’s meaningful to the two of you, and embrace the chance to laugh, hug, and kiss each other without the pressure and formality of your wedding day. And that’s the other thing: no matter how casual your wedding may be, you’ll feel pressure to get perfect wedding photos. It’s THE day and it flies by! 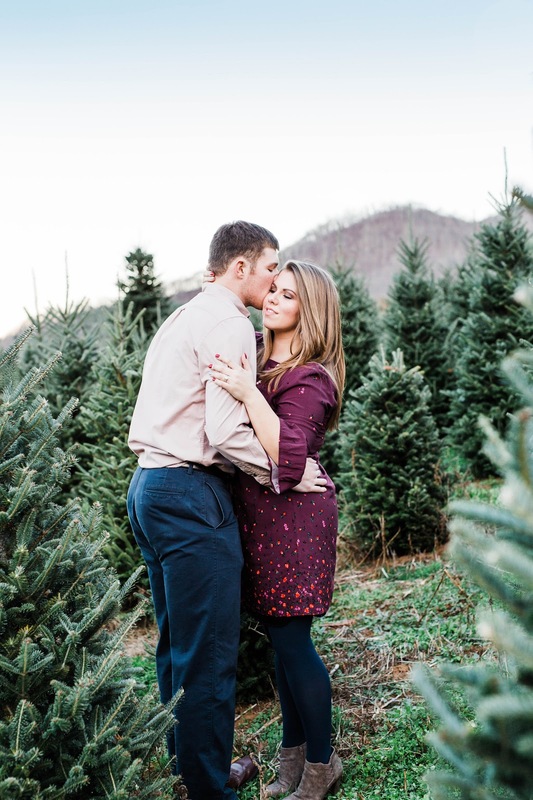 Taking engagement photos will help ease you into the process of taking lots of photos at one time and get you more comfortable in front of the camera. You may feel butterflies at first, but within a few minutes you’ll grow more confident and find your groove. Even the rationally minded can’t dispute the usefulness of engagement photos in your overall wedding design. Couples often choose to use their photos on their Save the Dates, personalizing the friendly reminder of the special day to come. Another fun idea is to create a photo album of your engagement photos to use as a guest book at your wedding. That way, you get to share more sweet photos from your session with your friends and family and turn your album into a keepsake from your big day. Engagement photos can also be used on your wedding website, as a new profile picture on your social media accounts, or even on your wedding invitations! And, of course, we can’t forget the number one place they belong: framed on the walls of your newlywed home. No two people, couples, or love stories are the same. 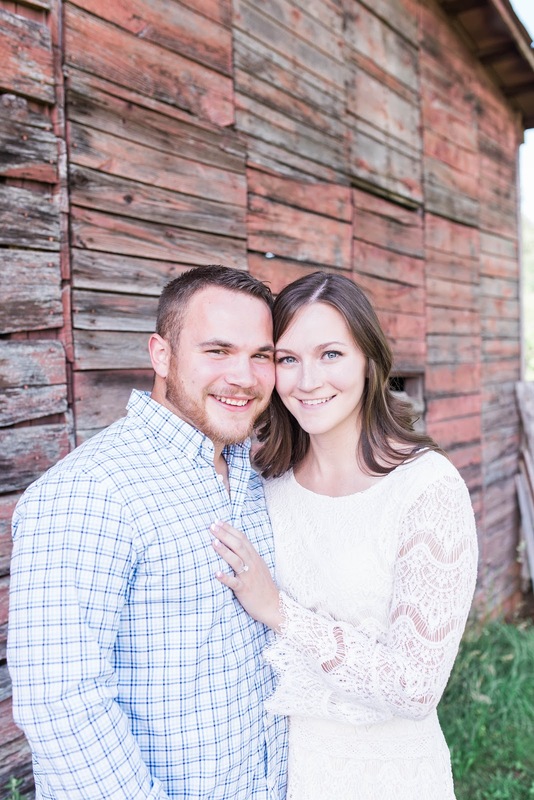 An engagement photo session allows your photographer to get to know you beyond the initial formalities. Knowing your preferences, likes, dislikes, and comfort zones will inform how they take photos with you. They’ll be able to capture you in a flattering way you’ll both love and feel comfortable with. And the same goes for you! You’ll learn how to communicate with your photographer, how to tell them what works for you and what doesn’t The more photos you take, the better sense you’ll have of how to pose and achieve the look you want. 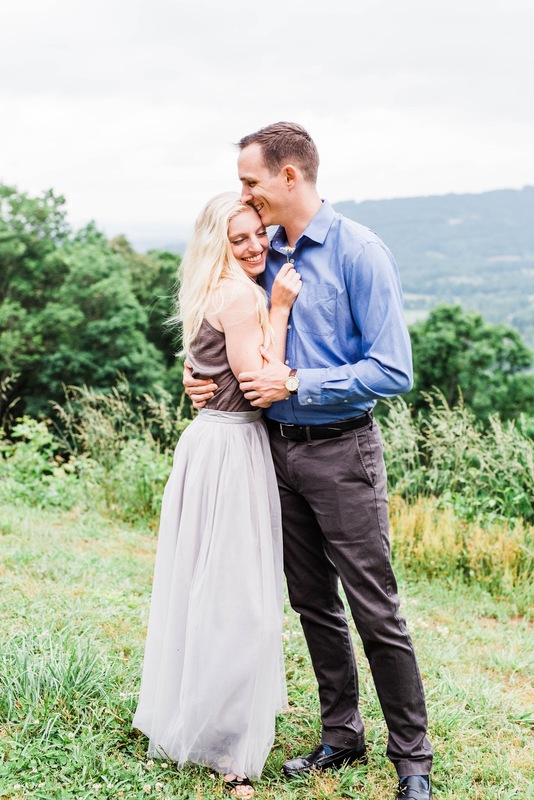 An engagement photo session gives you the extra time you need to gel together and grow comfortable, two things that always show up on camera. For me, Melissa, photographing your wedding is so much more than a “job” to me. Photography is my work, my calling, and I take it very seriously. Entrusting any part of your wedding to another person or professional requires trust, belief, and confidence. While my portfolio speaks to my skill, it’s the relationships I’ve built with my clients that are key to my success. One of the BEST things about this job is the friendships I’ve forged working with couples! I genuinely want my brides to feel like I’m their friend and to know I’ve got their back on their big day. 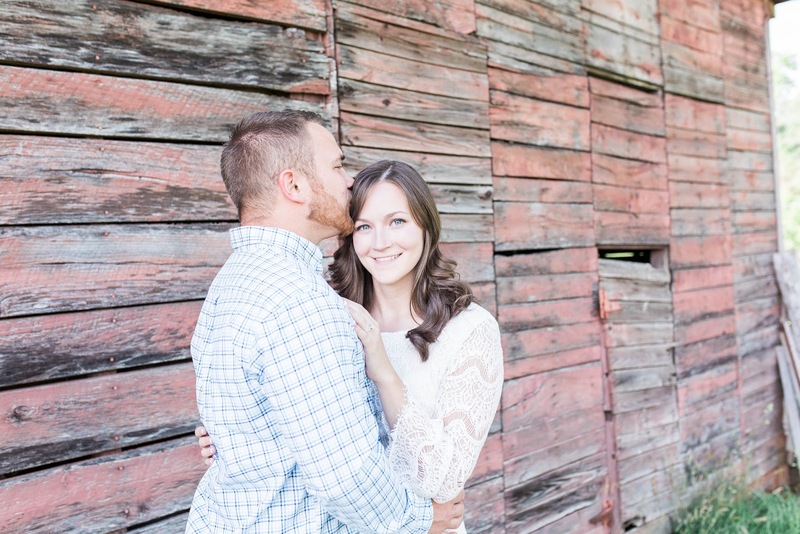 During the planning phase, I typically interact with brides the most so I enjoy getting to know the grooms better during our engagement photo session. It’s one of my MANY reasons for always including an engagement session in my wedding packages. Spending time and growing familiar with my couples before their wedding day makes such a big difference in terms of quality, comfort, and flow on their actual wedding day. When you’re newly engaged, you feel a magic surrounding your life and love that’s very specific…and very fleeting. Don’t get me wrong, the specialness of planning your wedding and, of course, your love will only grow. However, engagement photo sessions take place early in your engagement before much of the stress sets in, and when your excitement is really high. This is a time you should capture, to always look back on and remember how you felt. Engagement photo sessions provide a great opportunity to get creative with your photos as I briefly mentioned before. 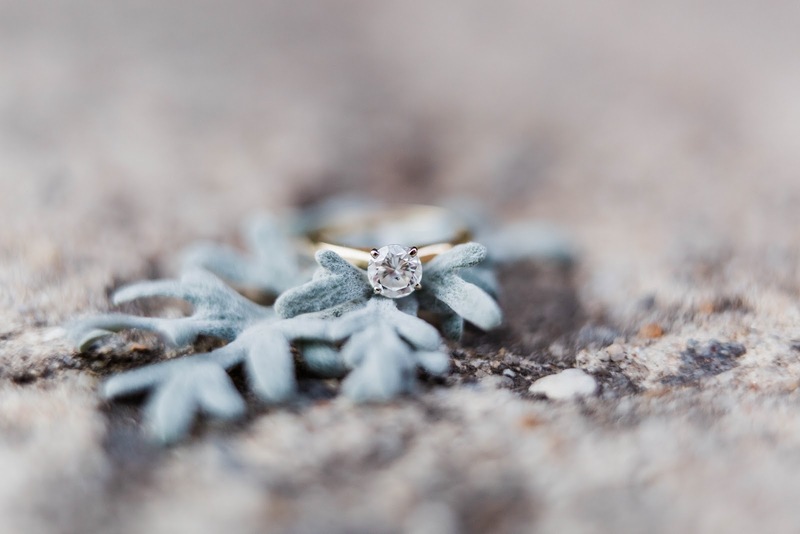 Some things to think about are tone, location, dress, and ‘storytelling.’ If your wedding is fairly formal, schedule your engagement photos at a more casual location, like your favorite outdoorsy spot, downtown neighborhood, or sports arena. Where’d you meet? Or have your first date? Is there a moment in your relationship that stands out that you’d like to pay homage to in your photos? Doing this shows a little bit more about who you are as a couple and the ties that bind you. I’m a southern girl, but I was born in New York. I am the wife to the kindest man, and a mama to the sweetest and wildest girl, Jade. For me, photography just kind of happened and I never looked back. I have never been this passionate about any other job that I’ve done. I believe in moments, and capturing them to the best of my ability. I love people, and making strong connections with my clients. In fact, I consider most of my past clients my friends. I’m full of energy and will probably talk your ear off, and try to hear your life story the first time we meet. Don’t say I didn’t warn you! Most of the time you will catch me in my yoga pants and a t shirt, so don’t be alarmed if I show up to your photo shoot like that. I hope to chat with you soon, and get the chance to capture your memories!! To contact Melissa, please visit her official website. You may also visit her profile on our Creative Team page.